3. Send a check or money order for your products made payable to Bracelets by Chris. 4. Product will be created upon receipt of the order and will be shipped after payment is received. Birthstones (or colors) to be included on the bracelet. Instructions for gift message, if desired. Note: Two names may be placed on a single strand. However, if the wrist measurement is smaller, it may be more appropriate to order two strands. 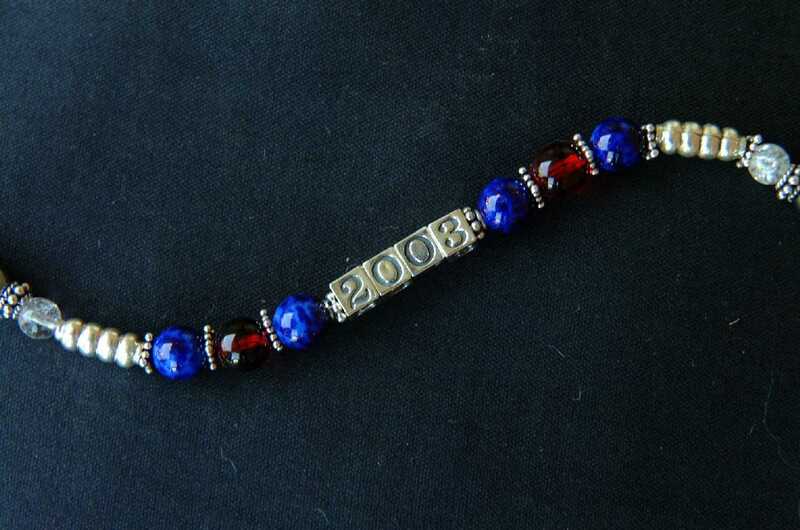 Graduation bracelet with school colors.